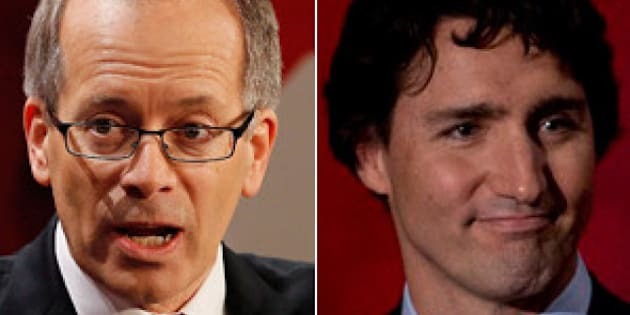 OTTAWA - Liberal leadership hopeful George Takach has withdrawn from the race and thrown his support to front-runner Justin Trudeau. The little-known Toronto technology lawyer was always a long shot and appeared to enter the race mainly to boost his profile. Takach says he'll seek a nomination to run as a Liberal candidate in the Toronto area in the expected 2015 election. And he says he believes Trudeau "has what it takes to be prime minister." Takach's departure leaves eight contenders in the race, which concludes April 14. Still in the running are Marc Garneau, Canada's first astronaut; Vancouver MP Joyce Murray; former MP Martha Hall Findlay; former cabinet minister Martin Cauchon; Toronto lawyer Deborah Coyne; and retired military officer Karen McCrimmon.